The highest truth is inexpressible. Spiritual cultivation cannot be cultivated. In the last resort nothing is gained. There is nothing much in the teaching. In throwing punches and moving, therein lies the wonderful Tao. 1. The highest truth is inexpressible. The highest truth, your truth, is an experience, a knowing, it is a reverberation in the soul and heart of man. Sometimes words fail us in expressing our truth and we need to use art to share our experience. We use art as a tangible way to share the truth of our souls. This higher truth is when you are both whole and also a part of everything at the same time, like how a drop of ocean is a part of the whole ocean, but is also a single drop. We do the work of self-knowledge, hacking away the inessentials, being rooted, and knowing your core, but in the space of enlightenment there is not a space between the individual and the expansive universe, we are all one. When you are in the oneness of everything, you are a part of the natural flow of the universe. 2. Spiritual cultivation cannot be cultivated. A punch is just a punch. A punch is not a punch. Spirituality can be cultivated in the sense that you can conscious practice around wanting to be in a more expansive, spiritual place where you can feel connected to the oneness of things. Once you’ve cultivated your spirit, then that spiritual cultivation is infused into your everyday. After spiritual cultivation then there is a return to the ordinariness of life, but filled with the extraordinariness of life; gratitude; acceptance; allowance; flow; a return to effortlessness all become a part of your every day. You can have wholehearted connection in your everyday life. 3. In the last resort nothing is gained. When we come down to the last resort of a situation, we are reaching a sort of giving up - a place where we have reconciled ourselves with losing. By clinging to a last resort, you are giving up and showing an unwillingness to shift. Do not hang onto a last resort, rather be willing to die. Be willing to let go. With the last resort comes the understanding that this is the end. Being in a place of flow, is having a willingness to move through life no matter what life throws your way. Clinging to a last resort is a denial of your trust in yourself and when there is no trust, there is no flow. 4. There is nothing much in the teaching. Modeling as a form of teaching. A teacher is a guide, the student has to experience things for themselves. Bruce wanted his students to experience things for themselves. He did not want his students to copy him, he wanted them to explore and develop their own style. To flow, you cannot give away your sovereignty to someone else and ask them to tell you exactly what to do, you have to teach yourself to be in flow with everything around you. 5. 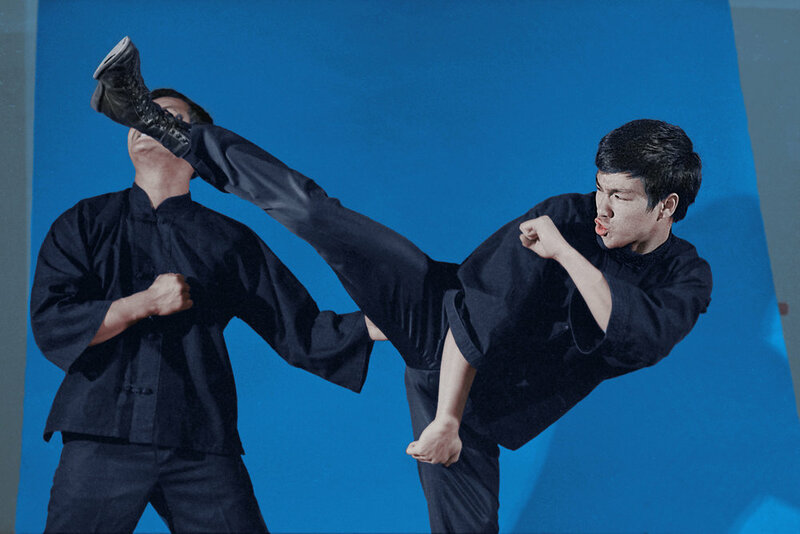 In throwing punches and moving, therein lies the wonderful Tao. In instinctual and direct movement, the flow of the universe is revealed. When you are in action, that is when the Tao is revealed. Flow is motion. The way we move through the world is the way that we are expressing ourselves and our souls to the world. Purpose is our essential essence, the thing that is calling us. Purpose is not from outside of ourselves, it comes from within us. When you can be in this state of flow, then your thinking and your actions can be quick, sharp and instant, and it feels effortless. Take Action: When have you felt gratitude in your everyday? When have you felt the expansiveness of life? When have you been prepared for the transitions of life? When have these moments happened for you? Sit with these moments and consider them. Sit with your own knowing. We would love to hear your thoughts on the 5 Ways of Flow! Write to us at hello@brucelee.com or tag us @brucelee on social media with #bruceleepodcast.